1. Read the first chapter of Romans through twice. 2. Read through the lesson. Notice some sentences have a word missing. Think about the word that should be placed in the blank places. I have left these blank places for the purpose of making you think what should be the exact word. A synonym will be counted as a correct answer. 3. After you have selected what you think should be the correct word, write it in the blank space. 4. Send your lesson back and we will correct it for you. Then we will mail your paper back to you with LESSON TWO. Repeat doing this until you have completed the study. The printed lessons are sent without charge. Please mail to: Home Bible Study Ministry, East Gate Broadcasting, 2837 Noyac Road, Sag Harbor, NY 11963. When you finish the last lesson, we will send you a beautiful Certificate of Achievement of the Study of the Epistle to the Romans. The great doctrines in this book were given by _________________ to Paul by the Lord Jesus Christ. The essence of the Law is fulfilled in the life of the believer as He is filled with the _______ of God by the Holy Spirit. He then learns that “Love does no harm to its neighbor. Therefore love is the fulfillment of the law” (Romans 13:10). 1. “The gospel . . . regarding His Son, who as to his human nature was a descendant of ____________” (Romans 1: 2,3). In order to save man, a Savior had to be found who was a man. Jesus Christ was the __________ man, God’s “second man from heaven” (I Cor. 15:47). He is God’s “Last Adam, a life-giving spirit.” He paid for the sins of the world on the cross and he put His life-giving spirit into the promises of the Word of God by which men may “bear the likeness of the man from heaven” (I Corinthians 15:45, 49). 2. But Jesus is also the Word that existed in the ________________: “In the beginning was the Word and the Word was with God and the Word was God” (John 1:1). Paul says that Jesus “through the Spirit of holiness was declared to be the________ of God by his resurrection from the dead” (Romans 1:4). He acknowledges him as “Jesus Christ our Lord.” He is the man from Nazareth, Jesus Christ. He is also the Eternal Word, our Lord. 1. He has “received grace and apostleship to call people from among all the Gentiles to the obedience that comes from faith” (Romans 1:5). The legalists were constantly trying to turn Gentile believers back to the ______ of Moses (Galatians 3:13). 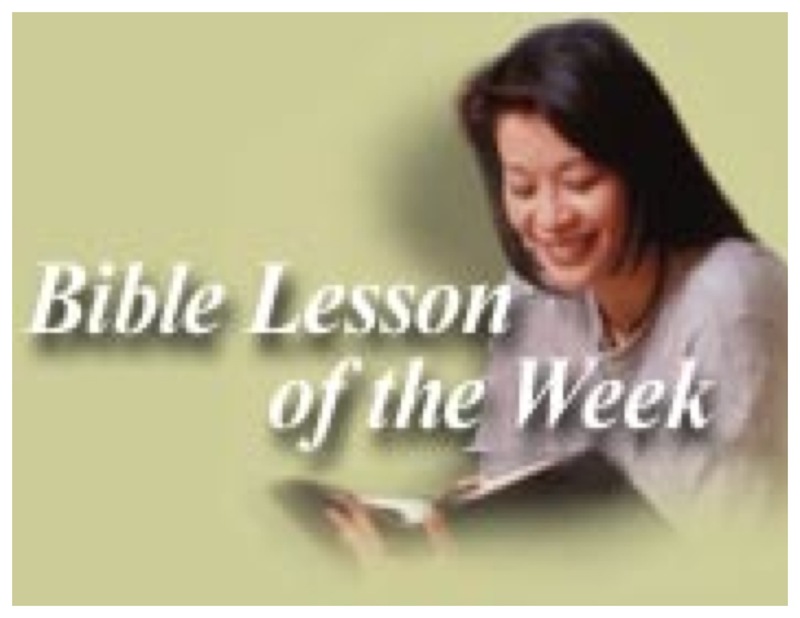 Paul in this letter does not reject the basic Law – the ten commandments – he tells them what will happen to them if they try to keep them (Romans chapter seven), and how “the righteousness of the law” can be fulfilled in them. (Romans chapter 8). 4. Since “all roads led to Rome,” Paul knew that this letter, the most detailed he had ever written, would find the widest distribution as believers would take back copies to their local churches in other cities. He had no idea that this Letter to the Romans would be translated into thousands of languages and bless millions of people! 1. Their “faith was being reported all over the world” (Romans 1:8). 2. He was constantly remembering them “in my prayers at all times: and I pray that now at last by God’s will the way may be opened for me to come to you” (Romans 1:10). 3. He knew many of them personally and he longed “to see you so that I may impart to you some spiritual gift to make you ___________ – that is, that you and I may be mutually encouraged by each other’s faith” (Romans 1:11,12). 4. Rome was the largest city in the world. Paul’s was to minister both to the “Greeks and non-Greeks, both to the wise and the foolish. That is why I am so eager to preach the gospel also to you who are at Rome” (Romans 1:15). 3. He believed the Gospel was powerful. He had seen its results in his missionary journeys as thousands had received the good news and had been converted and formed into churches. We are not told how the Letter got to Rome but in Romans 16:1,2 we learn that Phoebe, a successful _______________ woman, was going to Rome on a business trip. This woman probably carried the Letter to Rome. How often do we see women being first in the great important events of the Gospel! What an honor for her to bring the Letter to the church at Rome. Did she read the Letter while on the ship to Rome? We do not know, but we know she was carrying in her care the most important Letter ever written by any man at any time. A letter which would be world-changing in its effect. VII. THIS YEAR YOUR MEMORY ASSIGNMENTS ARE: memorize Romans 1:16, 3:23, 4:5; read chapter six and memorize 6:6,7; memorize the 39 verses of chapter 8, and Romans 12:1,2. You will have no trouble memorizing if you read the passage out loud six times and then repeat the verses back to yourself. Do a little each day and review each day. Work on chapter 8 one paragraph at a time. After you have learned the first paragraph, start on the next one and add it to the first. This chapter will be the greatest blessing you have ever experienced! You will not be tested on your memory work, but do it anyway! Your memory is like your muscles. “Use them or lose them” Your memory is unlimited – use it and you will never lose it. Begin your memory work today on Romans 1:16. Let us know which verses you have memorized when your send in your lessons. Thank you!